Joseph William Bleau, 90, widely known Meadow Creek, resident, died Monday at 11:50 P.M. in the Hinton Hospital after an extended illness. 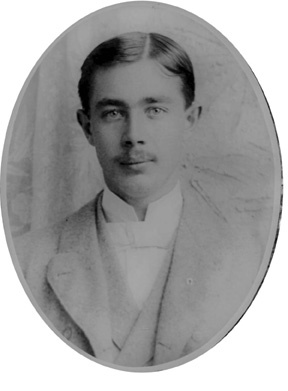 He was born at Meadow Creek June 7, 1873, a son of the late Joseph and Virginia Gwinn Bleau and had lived most of his life in the same area. Bleau was a member of the Meadow Creek Baptist Church. Surviving are two sons, J. W. Bleau, Jr., of Meadow Creek, and Samuel Bleau, of Newbern, N.C.; two daughters, Mrs.Virginian Grimmett, of Cinco,W. Va., and Mrs. Beulah Gaston, of Mobile, Alabama; one sister, Mrs. Daisy Hughes, of Philadelphia, Pa.; 11 grandchildren and one great grandchild. The body is at the Ronal Meadows Funeral Parlors. Arrangements are incomplete. Funeral rites will be held Thursday, at 2 p.m. in the Meadow Creek Baptist Church for Joseph William Bleau, 90, of Meadow Creek who died Tuesday after a long illness. The Rev. Howard Spencer will conduct the service with burial in the Meadow Creek cemetery. The body will be removed to the Bleau home of a son, J. W. Bleau, Jr., of Meadow Creek this afternoon at 4 o’clock from the Ronald Meadows Funeral Parlors. Named as pallbearers are James Burdette, Quincy Bryson, Billy Joe Richmond, Emmett Garten, Hobert Adkins and Curtis Burdette. Bleau was a long time resident of Meadow Creek and member of the Meadow Creek Baptist Church. 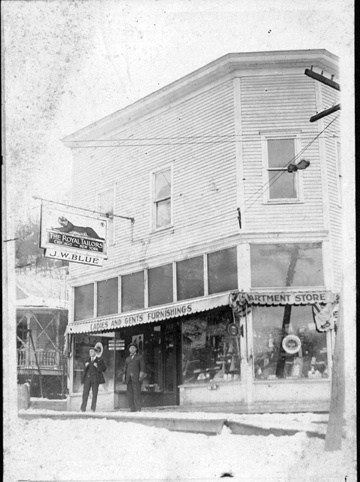 Home place of Joseph G. Bleau. He came to the United States from Montreal, Canada. 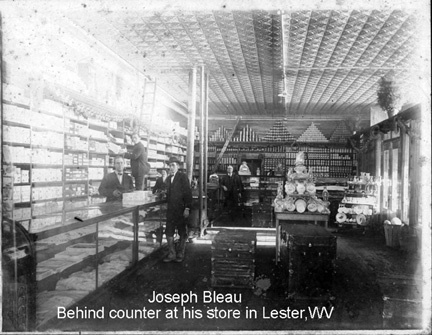 He was the father of Joseph William Bleau, Sr. 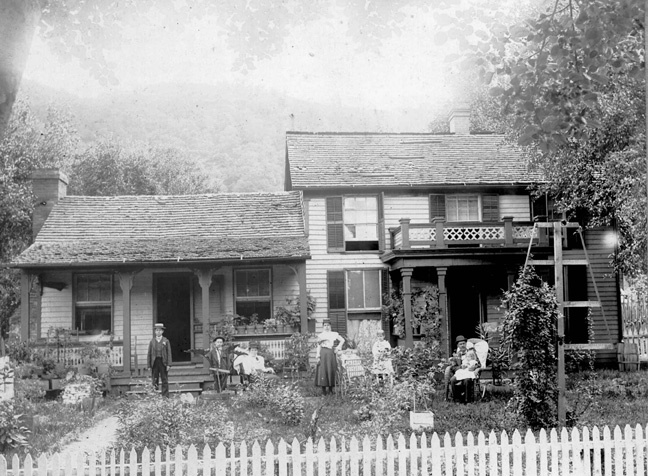 The home sat below the C&O Railroad tracks near the mouth of Meadow Creek. 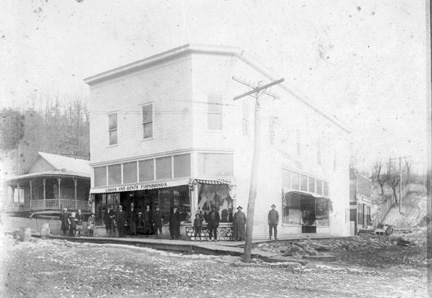 The smaller room on the left in the picture, stills stands today. 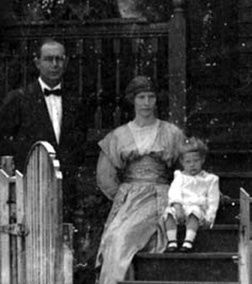 Joseph G. Bleau was married to Virginian Ann Gwinn Bleau. After the death of Virginia, he married Annie Beasley. He died in Ohio. 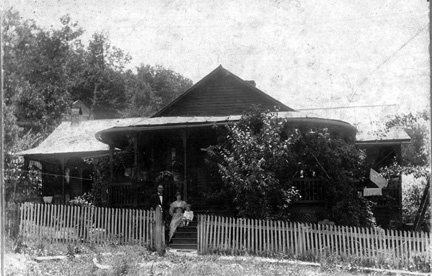 I was told that the man sitting in the rocking chair is Joseph G. Bleau.